Now that football is over are you watching hoops every day? 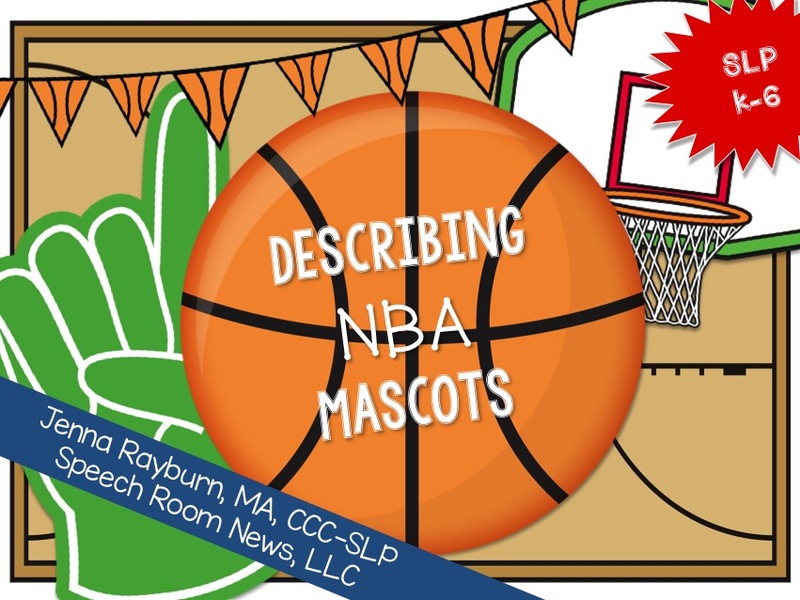 I loved the football version of describing mascots so I wanted to make a basketball version! 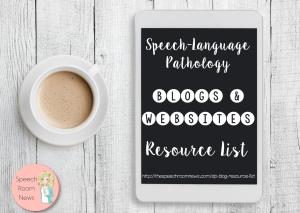 There are a limited set of materials in this because not all teams have mascots. Included teams: Atlanta Hawks, Indiana Pacers, Miami Heat, Washington Wizards, Chicago Bulls, Houston Rockets, San Antonio Spurs, Minnesota Timberwolves, Dallas Mavericks, Detroit Pistons, Charlotte Hornets, Utah Jazz, Memphis Grizzlies, Milwaukee Bucks, Cleveland Cavaliers, Orlando Magic, Denver Nuggets, OKC Thunder, Sacramento Kings, Phoenix Suns, Toronto Raptors. 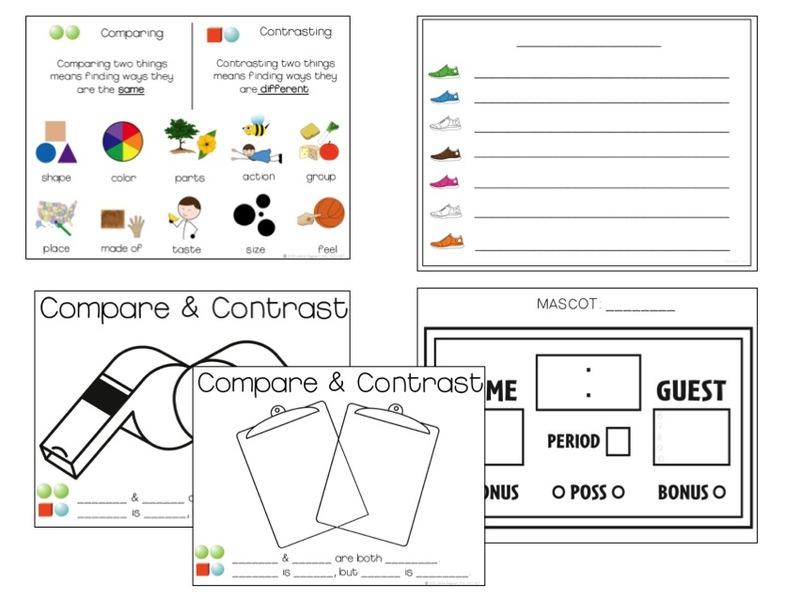 Included activities: Page & Activity: 3: Compare/Contrast poster.4-5: Basketball Venn Diagrams. 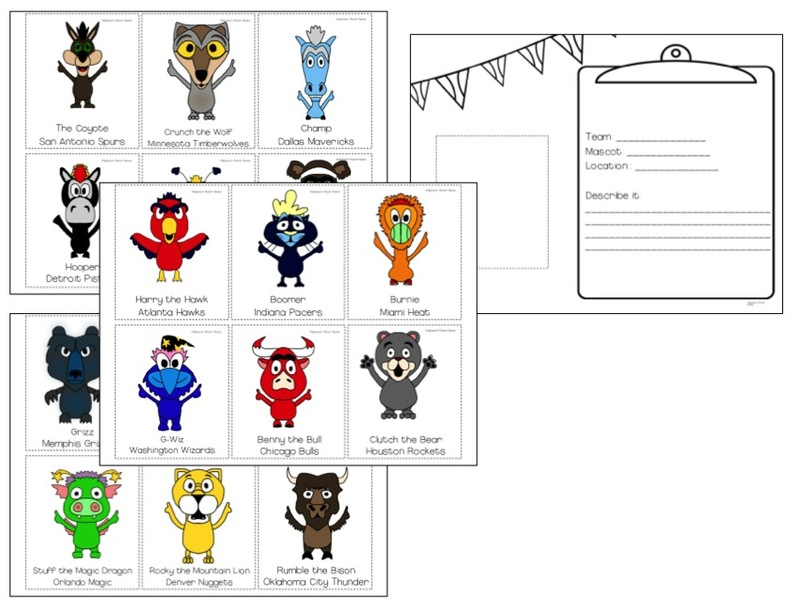 6- 9: 21 NBA mascot cards are included.10-12: Use these three worksheets to describe the mascots. 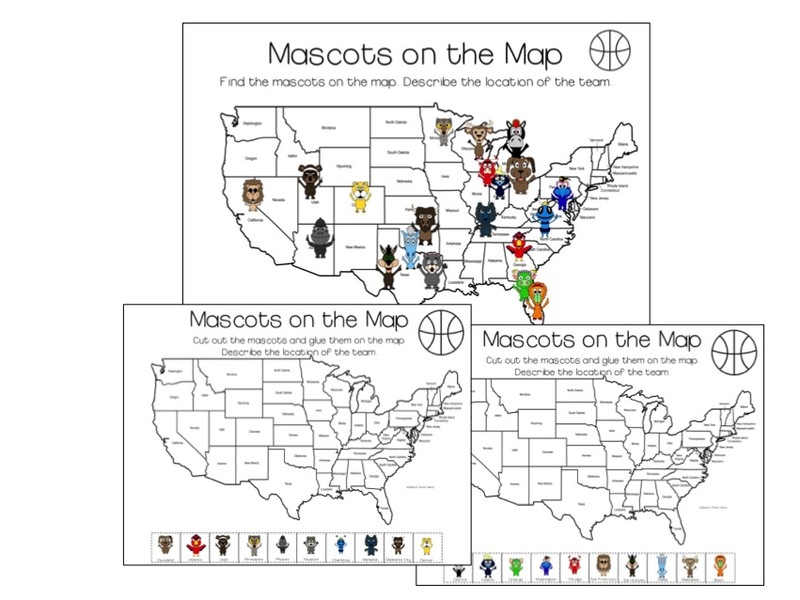 13-15: Mascots on a map. Describe the location of each team. Think about the weather in that state! What might you wear to a football game in that state? 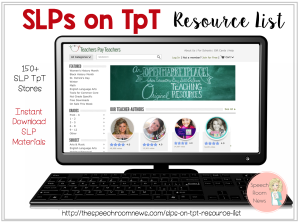 Grab the packet in my Teachers Pay Teachers store if you think you can use it with your caseload!